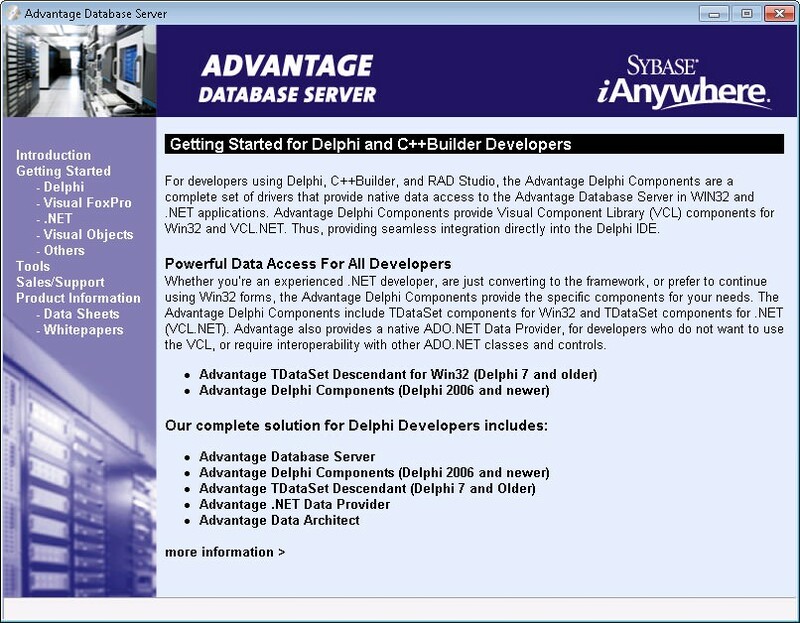 The add file extension is also used for one of the data files in Sybase Advantage Database Server. Possibly can be only handled with the original software. We do not know about any possible conversion for this particular file type. Click on the software link for more information about Advantage Database Server. Advantage Database Server uses add file type for its internal purposes and/or also by different way than common edit or open file actions (eg. to install/execute/support an application itself, to store application or user data, configure program etc. ).